Now, let’s delve into the Miraculous! There is an ancient anecdote about three monkeys that had set a goal for themselves to jump the fence that was keeping them imprisoned and confined in the place that they were familiar with. It was a very high fence, and they always wondered what was behind it. Though they tried to climb and jump up the fence they would keep falling back to the ground. Their curiosity and longing, however, didn’t let them forget the goal of jumping over to the other side of the fence. There was a small tree near the fence, which seemed to grow a few inches each year. After many years, the tree was high enough to reach the top of the fence. The three monkeys then decided to climb the tree to reach the top of the fence. The first monkey climbed up the tree, got excited about what it saw on the other side, and jumped. The second monkey climbed up the tree, got excited about what he saw on the other side of the fence and jumped. The third monkey climbed up the tree, but before jumping tied one foot to the tree so he does not disappear after jumping like the other monkeys and can help others gather courage to also climb up the tree and jump. I am like the third monkey. When I began my search for spiritual awakening it didn’t even occur to me that one day I would be helping others with their search. At that time I had no desire or interest in helping anyone else. After experiencing the truth that I was searching for first-hand, things changed dramatically. I recognized that I was not my body, my mind, emotions and beliefs. I saw that I am what I had been searching for and that there is nowhere to reach other than be in the here and now living life and my inner creativity to the utmost moment-to-moment without holding anything back. After this experience helping others along their own journey towards awakening was no longer a choice, it was a must! So I wrote In Search of the Miraculous: Healing into Consciousness as a guidebook to help people on their path of healing and awakening. My aim with writing the book was to create a step-by-step road map to everyone’s journey out of fear, pain, and suffering. In Search of the Miraculous: Healing into Consciousness is like a manual to help them understand their ego as well as their search (whether it is conscious or unconscious) to awakening. In the book I also outlined the pitfalls created by our wounded ego-mind that we must transcend and transform into consciousness. Anyone who is looking for a way out of fear, pain and suffering will greatly benefit from this book. It is perfect for those who are feeling lost or confused as they question the meaning of life, or feel stuck after the healing or spiritual work that they’ve done so far. In Search of the Miraculous is an extremely practical book that not only helps people see the overall big picture and the intricacies of the transformation process, but it also gives many practical tools for moving through the challenges presented to us by life much faster. Can you give us an example of the “unanswered questions” that your book answers that others don’t? The path to enlightenment has been described by many cultures by many teachers, mystics, and masters. Everyone who has experienced the truth first-hand describes the journey and their experience of awakening in their own unique way. They use words to describe something indescribable, and their words resonate with their listeners and readers in many different ways. As far as the contemporary Western approach to what transformation is all about there is a lack of understanding that it is impossible to transform the ego by denying it. In Search of the Miraculous: Healing into Consciousness provides an in-depth understanding about the ego, how it is needed, how it needs to be healed from its wounded state and strengthened before it can be surrendered and transformed. The book helps the reader take a more accepting, compassionate, and proactive approach on their journey of healing and awakening. It helps people understand and accept their ego instead of condemning it and struggling with it. Only a ripe fruit falls from a tree, and a flower opens when the bud has fully matured. Transformation of our ego is no different. The ego can only be dropped when it is fully developed and its purpose is fulfilled. When our body and energy is full of repressed thoughts, judgments, and emotional wounds and we try to drop our wounded ego, we’ll be creating more confusion, anxiety, and inner turmoil for ourselves. Your ego is ready to be dropped, or better to say to be dissolved, when you have no desires and judgments about how things should be, and feel okay with whatever life brings you. Life teaches us to let go on every step of our journey. If we have difficulty in letting go of things and people, we will have difficulty in letting go of the ego. This book offers an in-depth understanding of the purpose of life and offers many tools for self-discovery to help peel and transform the layers of unconscious that are within our body and energy. There are Q & A sections at the end of each chapter that make the topics covered in the chapters even more personal and down-to-earth. I have also described my own journey in the final chapter of the book to exemplify the process of transformation from unconsciousness into consciousness and to inspire others to persevere with their personal inner work in spite of life’s challenges, and actually look at all the challenges as opportunities for inner growth and transformation. Did you find it hard to write this info in a way that was easily accessible to others? Yes. That’s why it took me seven years to complete it. The difficulty was in attempting to portray what is impossible to convey through words. The words were used to point the way and make the process of searching and understanding the journey easier and lighter. Ultimately, words only help and encourage us so we take risks, face our fears, and experience what is shown in the book. In a way, the reader expands their consciousness as they progress through reading the book and start putting the suggestions into practice. 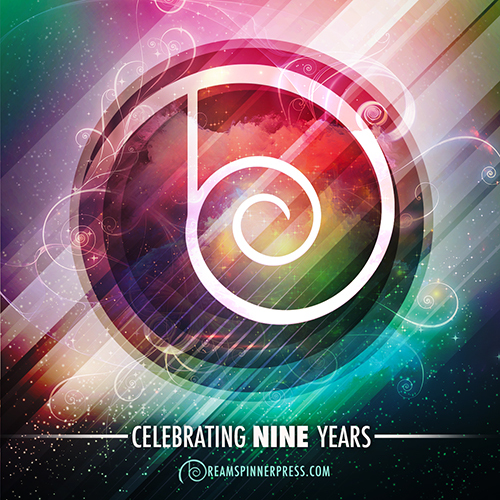 Can you give an excerpt from your book? More information about the book, E-books, Meditation CDs (No-Yes Active Meditation and Transcending the Fear of Death & the Unknown) and special offers can be found at www.healingintoconsciousness.com and www.madadalian.com. 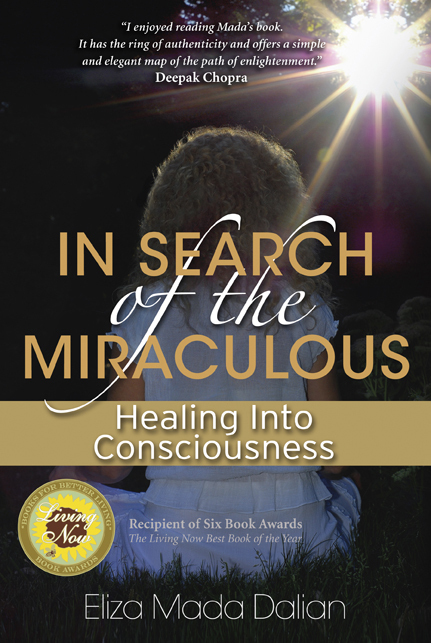 In Search of the Miraculous: Healing into Consciousness is also available at Amazon.com and wherever books are sold. Thanks for stopping by with this great information about your book, Eliza!